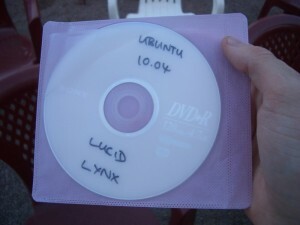 This year I did find the time to visit a Ubuntu release party. Unfortunately it did not work out the last times. I had time, so I took it and went 5 hours by bus to the capital city of Uganda (where one of three official announced Ubuntu Release Parties took place). 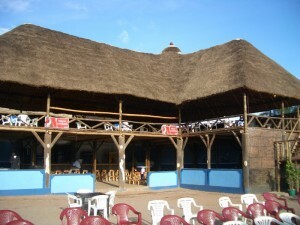 The party was organized by the Linux User Group Uganda. As I arrived a bit early, I helped building everything up and was forced to press enter to change the slides during the presentation. The audience was mixed. There were people from Uganda, England, Iran, America, Netherlands and Germany. And these are only the countries of peoples I talked to. And quite a lot female guests were there as well. 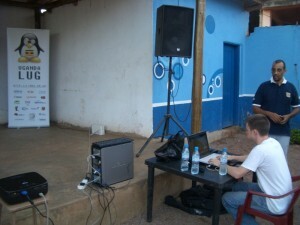 The presentation introduced Linux, Ubuntu and Free Software itself. Then a PC was migrated from Windows to Ubuntu. During the installation it was planned to show the new features of Lucid on another machine, but after three short questions the installation was already over. Some of the new features were showed directly on the new system. 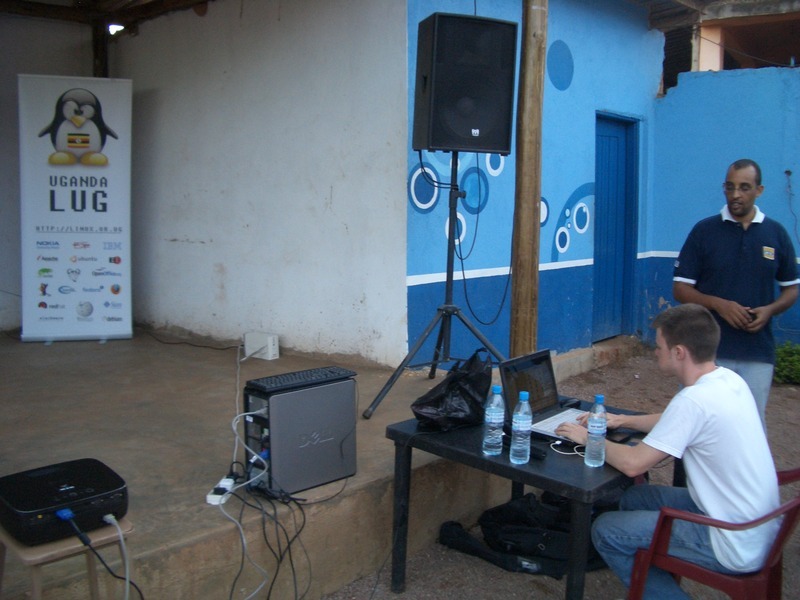 The questions that came afterwards touched many different fields, and I see much potential for free software and especially the really user-friendly Ubuntu here in Uganda. As well as free software (free as in speech) there was free drinks (free as in beer). Thanks a lot, especially to Simon and Kyle who did a great job in the organization and the presentation and the CDs as well. 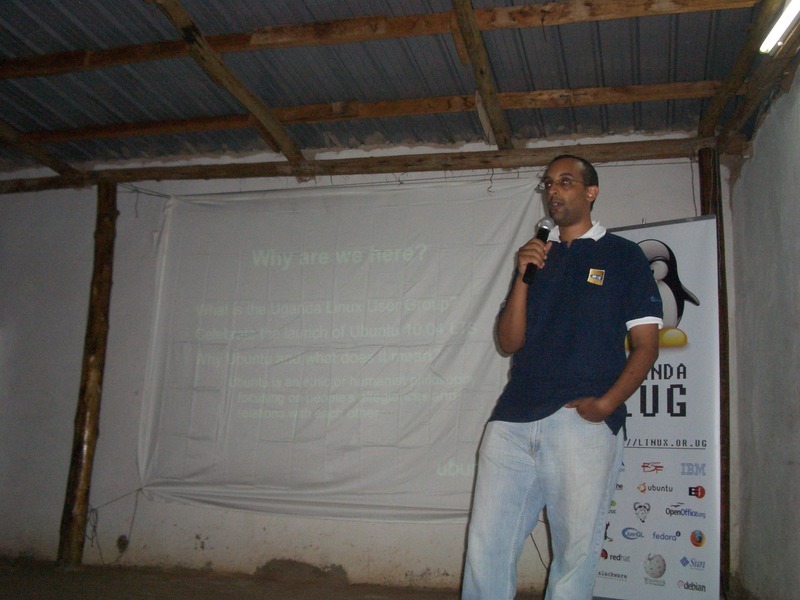 I really enjoyed the evening and will try to start a Branch of the Linux User Group in Mbarara, if the need is there. If somebody needs Lucid CDs here in Mbarara, I still have enough. The next time I will, if I get time, celebrate in Munich. Awesome write-up, and thanks for the help at the event! Indeed thanks for a cool write up am going to add it to the offical Ubuntu Team page. Feel free. And thank you both for the great event.